Autumn is my favorite season. Well, that’s what I say during this time of year. 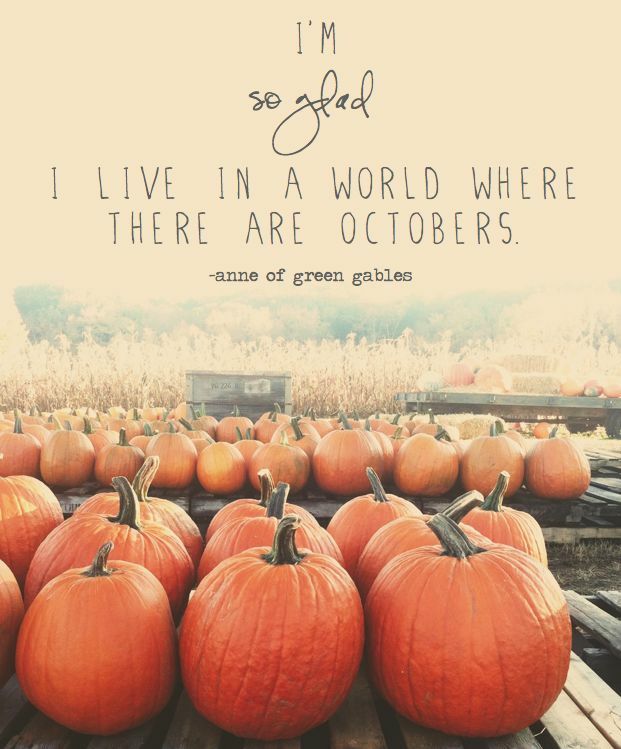 But when April rolls around I’m all like, “Springtime is my favorite time!” But the beauties of autumn last longer than the springtime ones, and I would rather wear comfy sweaters, boots, and scarves than shorts and flowery prints. This is the second autumn I will be spending in France, and I have definitely been feeling homesick for all of my favorite American traditions that I will be missing again this year. While I know that French people love to have get-togethers and dinner parties, Americans love to celebrate everything. We revel in holidays and seasonal goodies, especially during this time of year, when we spend a lot of time with family and close friends. So what am I missing the most from my homeland right now? Seeing my favorite colors everywhere: Bring on the neutrals! I love the reds, oranges, yellows, browns, golds, and blacks combined that really make me feel like autumn has arrived. I’m sure in the States right now you can see those colors everywhere you go (and you Americans may already be getting tired of them); not so much here. But, fortunately, the trees are finally changing colors and that is just as beautiful. Halloween (and candy): France doesn’t celebrate Halloween, and when they do they only focus on the evil and scary side. 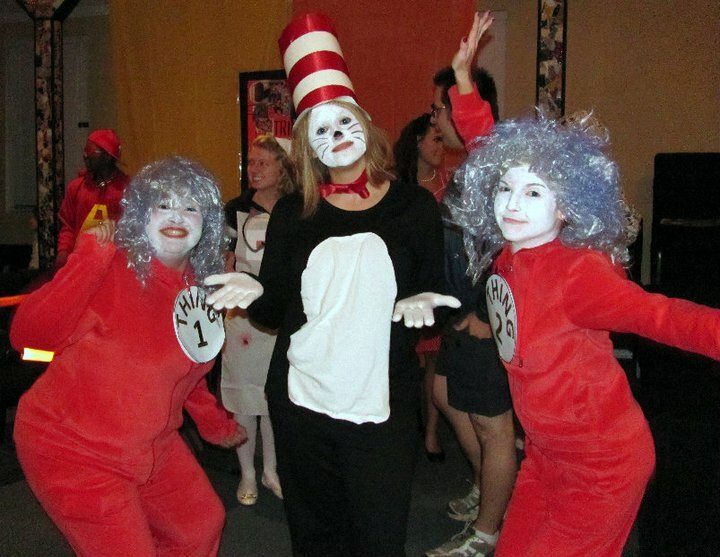 What I love most about Halloween is costume parties, especially themed ones. And my favorite costumes have been Robin Hood and Thing 2, nothing scary or demented…Also: day-after-Halloween candy sales! Autumn-scented candles: Ahh. Nothing like those $5 Walmart fall candles to make your home smell amazing. My favorites of course are the pumpkin pie and vanilla scented ones. 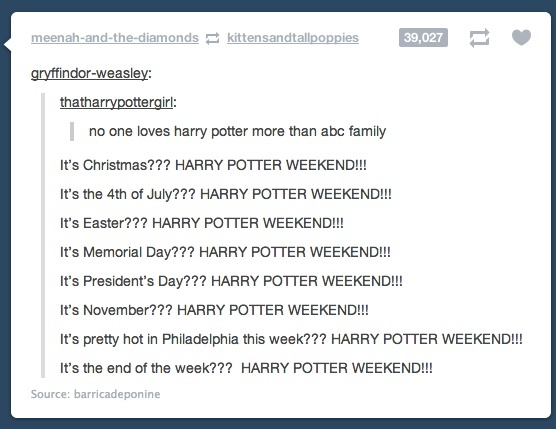 Autumn-themed movies on TV: My favorite would be the ABC Family Harry Potter marathons, although they do those practically every holiday weekend, and that’s why I adore this tumblr conversation. So hilarious and so true. I also love watching 90s chick flicks and Nicholas Sparks movies during this time of year, my current favorite is Safe Haven, which is also my favorite Sparks novel. Here’s a cool list of some other great films to watch during Autumn. 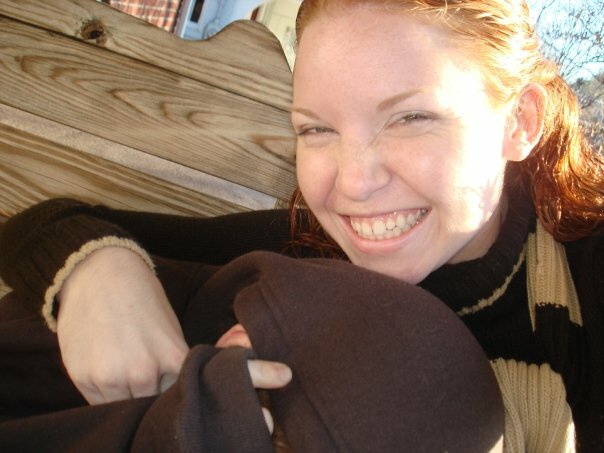 My trying to get a picture with my brother on Thanksgiving a few years back…he hates pictures. Thanksgiving: This is my favorite holiday, and not because of the food, although I love Thanksgiving Day meals. No, my favorite part is just spending time with loved ones–watching the parade, helping each other out in the kitchen, playing games and football, going to the movies after eating entirely too much pie, going on Black Friday scavenger hunts around town together…I love it all, and that’s why it’s so hard for me to be away from family for Thanksgiving. But this year my husband and I are celebrating an authentic American Thanksgiving with our French family! Starbucks: Yes, they have Starbucks in France, but the closest one is over an hour away in Lyon. We will probably be stopping there on our way to the airport in December!! Since the weather has gotten cooler I’ve been craving Pumpkin Spice Lattes and Apple Chai Infusions (my fav…it’s like apple cider but better). 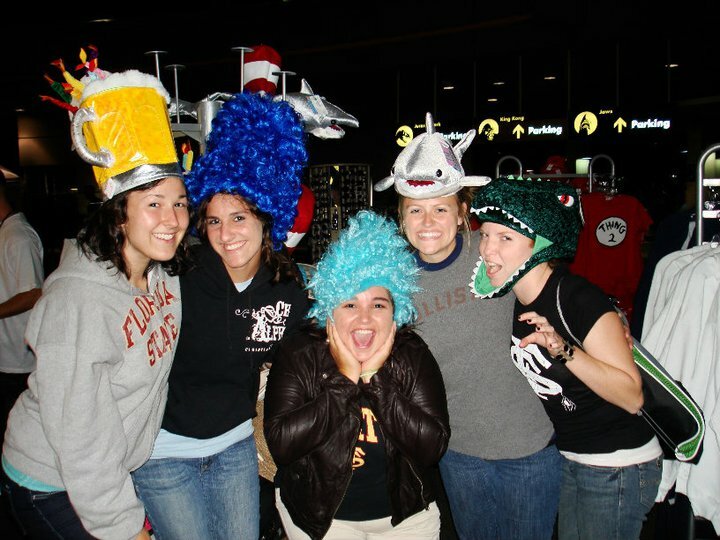 My roommates and I at HHN in 2010. Halloween Horror Nights: This is a tradition I used to do most years when I lived in Florida, but my favorite years were probably the last two times I went, in 2010 and 2011. Theme parks with friends are a blast, but theme parks in the dark with haunted houses are even better! So many fun memories from Universal’s HHN…I would love to be going there again this year! Bonfires and hayrides: Here’s something that’s very American–sitting in a wagon full of itchy, scratchy hay while you ride around in the dark with friends…bundling up in warm clothes, looking at stars, telling spooky stories before heading back to the bonfire to make s’mores (another very American thing). Mmm, sounds like fun to me! 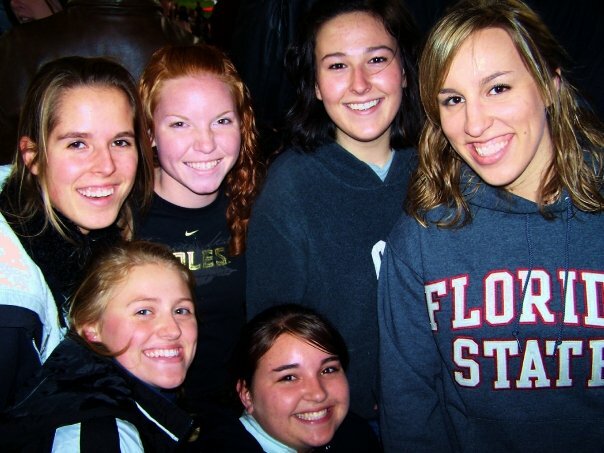 A 2009 FSU night game…I miss these days! My first “American Thanksgiving Meal with Norwegian ingredients” in 2007 solidified it as a favorite with my husband’s Norwegian family and friends. And over the years, I’ve realized that they are most curious about “stuffing” – what herbs do I use? Is it the same recipe that everyone uses? Why do you call it stuffing when you don’t put it in the bird? What do you think will be your French family’s favorite part of your meal? For us, fall is all about apple picking! We go several times during the season (four times so far!). It’s an activity that gets us outdoors, where we get to appreciate the beautiful foliage and crisp air. Then we have yummy apples for the next 6-9 months! Mmm…apple picking! That sounds like a blast! Do you make any apple treats afterwards? Tout ce que tu racontes me fait rêver !! J’adorerais découvrir tout ça !! Hello Megan! 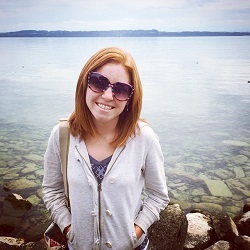 I just read through some of your blog posts and you had me cracking up a few times :) It’s good to “meet” another Expat in France, especially one who is similar in age and has had similar experiences. You’ve also inspired me to write a section on my blog about me and my husband’s own journey…hopefully I can get to that soon! But we’ve started to combine the best of both worlds when it comes to traditions, and instead of doing something the French or American way, we do it OUR way :) That’s the fun thing about being apart of two cultures; sometimes it can be stressful “finding your place,” but other times it makes life fun and interesting. Remember Halloween Horror Nights in junior high? We had so much fun with us girls! Brittney was always so terrified it was hilarious. I would try to act all cool and collected but I was really grabbing on to Kenzie once inside the houses and screaming like a mad woman. And then sleeping in till the afternoon the next day at my house. Oh the good times…. Miss those…. I LOVED our trips to HHN! We would always do it on a Thursday so that way we could skip school on Friday haha. Aww man, such good times!